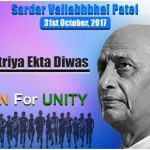 Nation will observe Rashtriya Ekta Diwas tomorrow on the birth anniversary of Sardar Vallabhbhai Patel. Various events will be organised across the country to mark the 143rd birth anniversary. 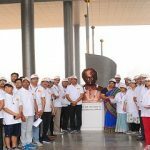 Prime Minister Narendra Modi will attend the main event at Major Dhyan Chand National Stadium in New Delhi where he will flag off Run For Unity.